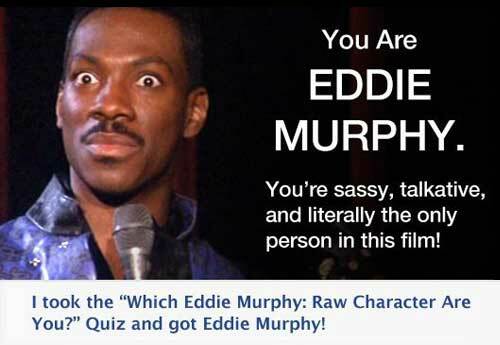 What makes Facebook quizzes so amazing? Is it strange that we openly share ‘how insane we are’ and ‘which state we should actually live in’? It could be, but perhaps there’s a certain thrill to this that has got millions going gaga over it. Yes, we’ve definitely got an addiction, and it’s called #quizzes! So, what’s the big deal about Facebook quizzes and why are we so compelled to take them? Firstly, it’s great when someone tells us ‘which character we’re like’ or ‘which city we’re supposed to live in’. It gives us a feeling of safety and a sense that we belong somewhere. Second, doesn't sharing life’s experiences with others make it all the most joyful? It’s no different with quizzes! Sharing results with our friends and family makes the ride all the more awesome. Third, we love and desire connections all the time. Humans get a high when engaged in conversation; quizzes do just that for us. They help us connect with people who get the same results as us. We especially love to take quizzes that go viral on Facebook; after all everyone’s taking them so there must be a special element to them, right? What kind of quizzes can you create for Facebook? Personality - based - Create fun quizzes and use them as conversation starters with your audience, drive engagement in your community or interest groups. Users enjoy taking quizzes that reveal insights about their personality. So use quizzes to build engagement and interest. Poll - based quizzes - Create an engaging online poll to get instant feedback from your audience about anything. Market - research - Is your business in the technology industry? Why not ask users their product preference in a quiz? Create a quiz that let’s you discover the technology needs of your customers. What do they prefer more - PC or Mac? Android or iPhone? Use quizzes to get actionable product feedback right from Facebook! Catchy Title - Make the title of your quiz catchy enough to draw in attention. For example, “How much do you actually know about the world?” transforms your quiz into a challenge. Add some Personality - Create a bond with the quiz taker by injecting some personality into your quiz. The more fun your quiz is, the more it will be shared. Use Images - Who doesn't like seeing images? Adding more images in your quiz is directly linked to getting more likes, traffic and shares. Be Positive - Stay positive throughout the quiz. Quiz takers really just want to know that they are awesome. Keep it Short - Keep your quiz between 6 and 10 questions. If your quiz is short and sweet, there’s a greater chance that more quiz takers will complete it. How to Get More Traffic Using Facebook Quizzes? 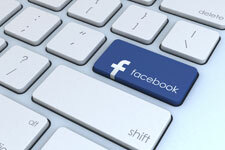 Facebook is the best social medium to grab as many eyes as possible. Here are seven strategies that will help you get more traffic there. Here are five things businesses can do using Facebook quizzes.